Sign Up for free to save time shopping The Flower Collective's wholesale products on LeafLink. Whether you call us The Flower Collective or TFC, we mean quality. We are a collective of cultivators in Nederland, Colorado that take pride in the history of our region. Our product is grown and crafted using snowmelt from the Indian Peaks Wilderness. 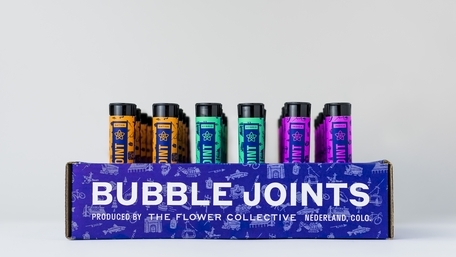 Inspired by Nederland locals who often twist up their favorite bubble hash and flower, we offer a handcrafted Bubble Joint approachable to tourists and trusted by discerning tokers. Deep in the glacier-formed basin of Nederland, time-honored Colorado traditions and the experience of a town known for craft cannabis are rolled into one. TFC Bubble Blunts™ will entertain a party of vacationers or blitz the most discerning of solo tokers. We start with strain specific flower rich in terpenes and bubble hash blended at a 5:1 ratio. The blend is then loaded into hemp blunt cones with wooden tips and hand-inspected for consistency, ensuring a smooth and potent toke. TFC Bubble Joints™ capture the essence of each cannabis strain. We start with strain specific flower rich in terpenes and bubble hash blended at a 5:1 ratio. The blend is then loaded into hemp cones and hand-inspected for consistency, ensuring a smooth and potent toke. 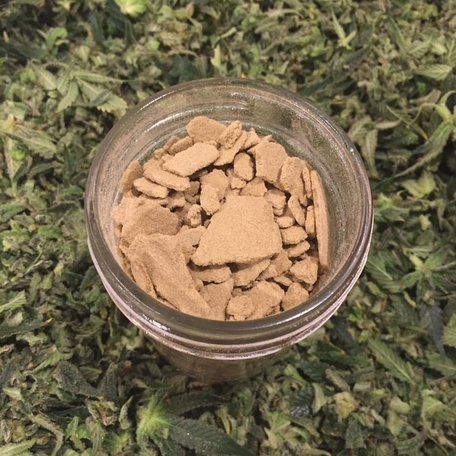 Sought after for its rarity and tradition, Our Bubble Hash is solventless in nature, providing a smooth, terpene-rich toke that exemplifies the flavor diversity of each strain and the history of the region.